In Beyond the Shadowlands, Wayne Martindale compiles all of C.S. Lewis’ writing on heaven and hell into one condensed, fantastic book. Though Martindale’s own voice shines through, the book is mainly a prism that draws a rainbow of C.S. Lewis’ writing together into a single beam of brilliant light. Both Lewis’ rainbow and Martindale’s prism are delightful on their own, but together I can’t help but recommend this book. Martindale divides his book into two halves: demythologization and remythologization. First, Martindale walks through Lewis’ non fiction to examine how he demythologized cultural ideas about heaven and hell. These sections are brief compared to the rest of the book, but Martindale uses his space efficiently. He presents five cultural myths each for heaven and hell, and then picks the best from Lewis’ essays to debunk the myths. More important to Lewis’ goal in writing than demythologization was remythologization, and Martindale gives space accordingly. Remythologization is the idea of rebuilding readers’ conceptions of heaven and hell through the vehicle of story (or myth, as Lewis defined it). C.S. Lewis was one of the few authors who not only recognized the subversive power of stories, but also took advantage of it by writing powerful, enduring tales like the Chronicles of Narnia. Lewis’ books are full of rich meaning, but that can go over the heads of many readers. I know as a kid I just loved the books for their stories. Beyond the Shadowlands is so valuable because it draws on that meaning while building on the wonder and adventure of the stories themselves. I hadn’t read most of these books since I was a kid, but reading this book brought them all back more vividly than ever before. It was awesome, even worshipful to follow Martindale as he collects a beam of brilliant white light from Lewis’ writing and delivers it to his readers. I really fell in love with this book when I got to the fiction section, Martindale pulls a huge array of quotes together, and really lets them speak for themselves within the loose framework that he assembles. Each book receives its own chapter that emphasizes a different point of Lewis’ theology. I loved revisiting my favorites — Narnia and Till We have Faces especially. The older I get the more I admire C.S. Lewis and his life’s work. This book is the perfect homage to all of the fantastic, beautiful stories of Narnia, Glome, and beyond. I highly recommend it to anyone who grew up with Narnia on the shelf, and even for those who don’t: may it be the gateway to many wonderful stories! 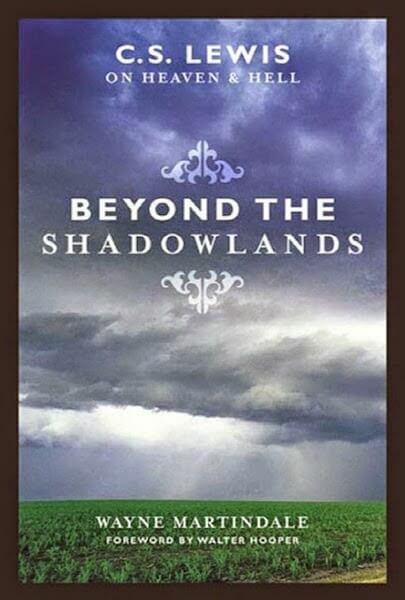 Beyond the Shadowlands has earned a permanent place on my bookshelf right next to Lewis’ own writing, and that’s an honor few books receive. 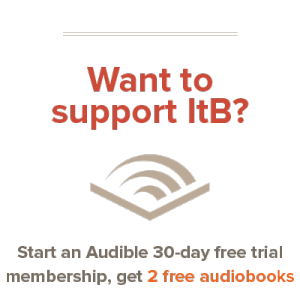 Buy Beyond the Shadowlands on Amazon and Support ItB! Into the Book Reviews | Giveaway: Narnia Pack!